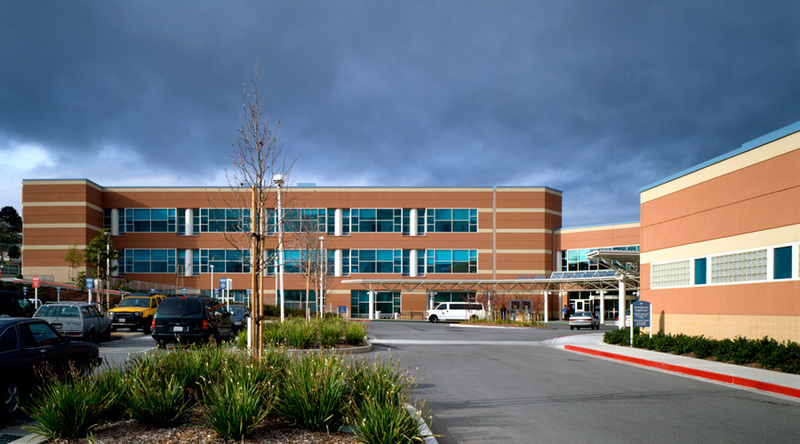 San Mateo County Health Center — PARADIGM Structural Engineers, Inc. This project scope includes 285,000 gsf of new construction and 91,000 gsf of remodel work to the hospital. To accomplish the goal of centralizing the County’s Health Services from two sites, the scope involves a new central plant; a new three-story outpatient clinic building; a nursing wing offering acute psychiatric care, long term care, geriatric/psychiatric care, and med/surg nursing unit; an addition of a diagnostics and treatment building; and an existing hospital renovation into dietary and administration services. The health center’s intention is to provide services supplemental to those provided by the private health care industry, not to compete with them. With an anticipated completion date of 1997, the project is currently in the construction phase for the Nursing Wing, Main Entry and Clinics. The new diagnostics and treatment building and the hospital renovation are currently in the construction document phases. 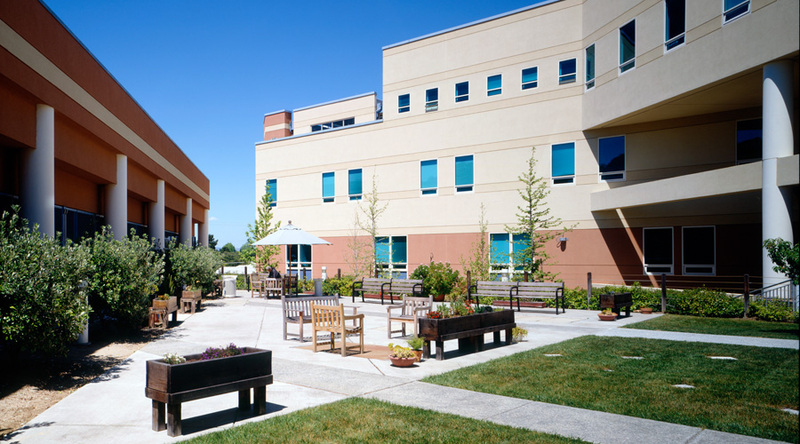 The project approach included re-planning the hospital’s master plan to give the main building cohesion, establish a clearly-marked entrance, and reduce the risk of seismic hazards. The construction documents have been divided into separate packages for fast track construction costs totaling $69.5M. A new 4-story Nursing Unit which will house skilled and acute nursing beds. This addition will contain 60 Gero-Psych beds, 64 rehabilitation beds within 97,000 gsf. A new 3-story 45,000 gsf medical office building housing outpatient clinic. Remodeling of 83,800 gsf of space in the existing hospital. North addition/courtyard of approximately 41,286 gsf. *Principals of PARADIGM provided services on this project.